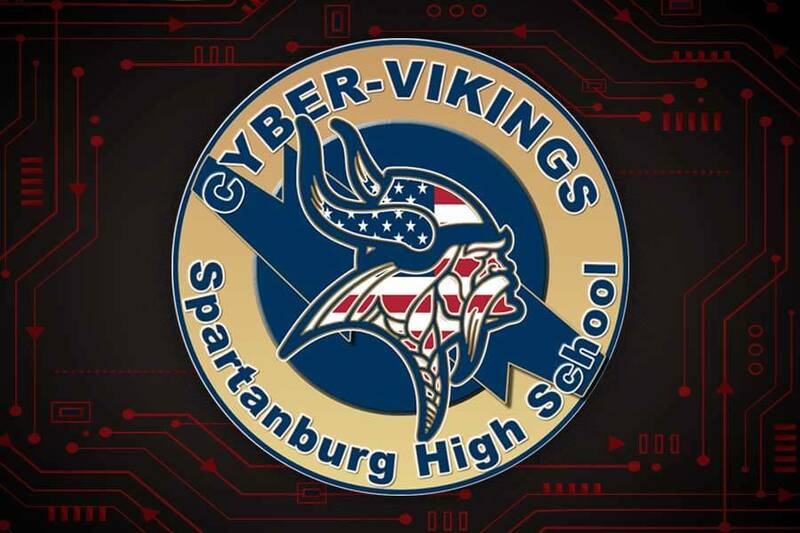 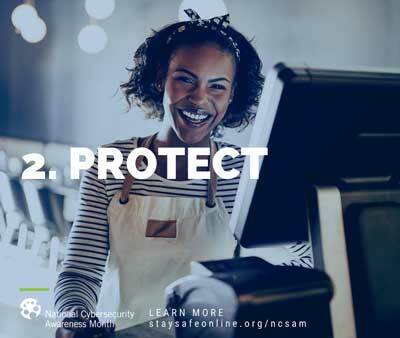 Since 2004, National Cybersecurity Awareness Month (NCSAM) has represented a collaborative effort between government, nonprofit and industry to ensure that all Americans have the information they need to stay safer and more secure online. 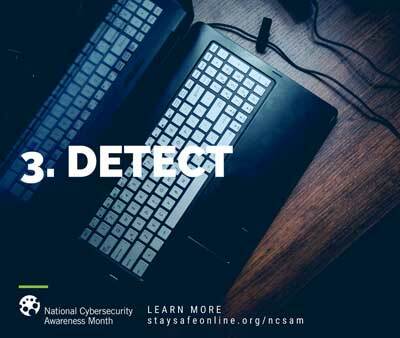 Co-led by the National Cyber Security Alliance (NCSA) and U.S. Department of Homeland Security (DHS), NCSAM has grown exponentially – reaching consumers and organizations nationwide and encouraging all internet users to be #CyberAware. 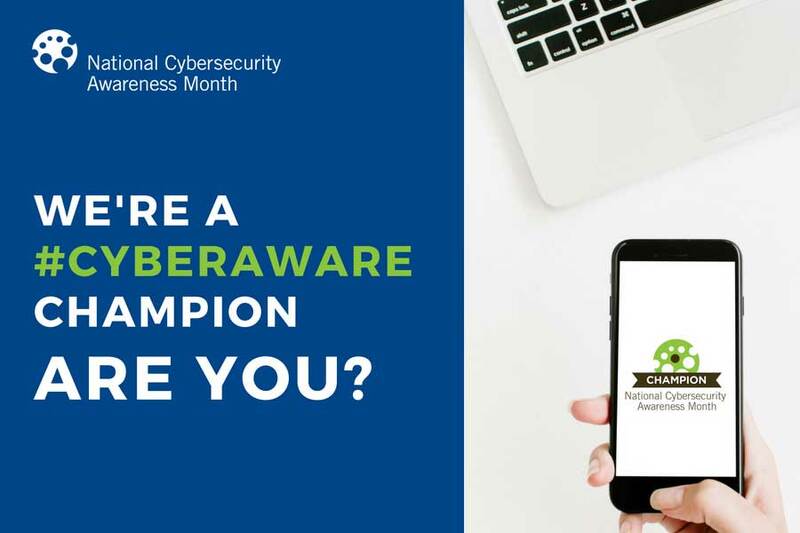 As a returning National Cyber Security Month Champion Organization, we’re excited to be able to help spread the word for this week’s theme: “It’s Everyone’s Job to Ensure Online Safety at Work” by shedding light on how small and medium-sized businesses continue to be a target for cybercriminals and providing information, tips and resources to help small business protect themselves, their employees and their customers against the most prevalent threats. 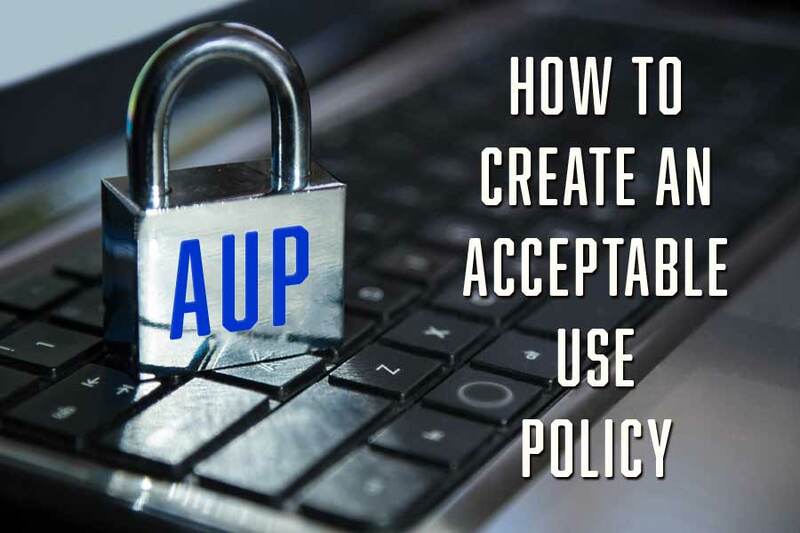 Have a Plan for Responding Planning for a response is critical to reduce risks to your business, customers, employees and reputation. 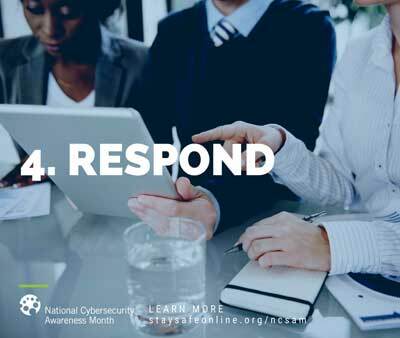 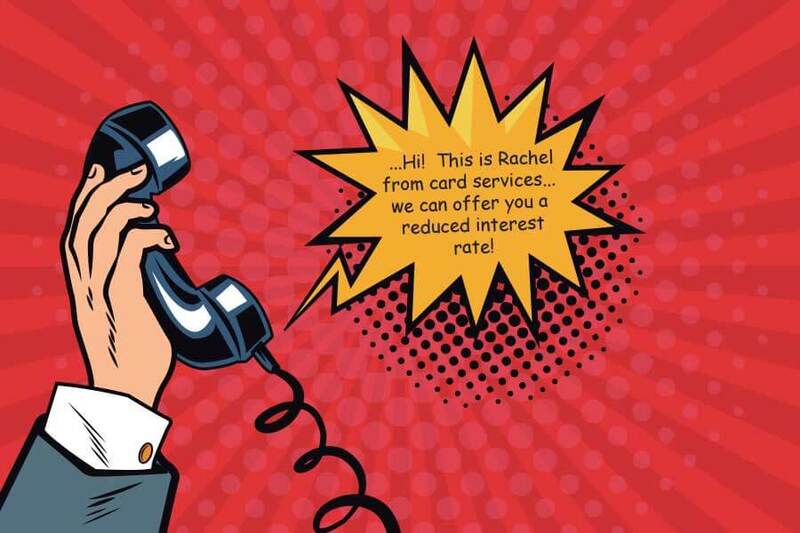 Visit https://staysafeonline.org/cybersecure-business/respond/ to learn more about responding to responding to security incidents and maintaining business in the short term. 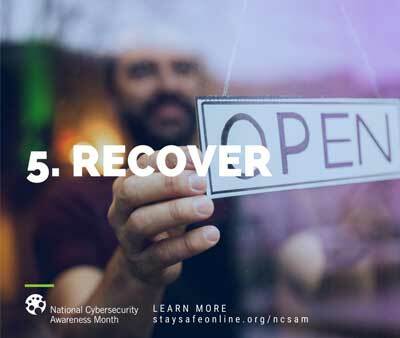 Recover Normal Operations Move from the immediate aftermath of a cyber incident to full restoration of normal systems and operations. 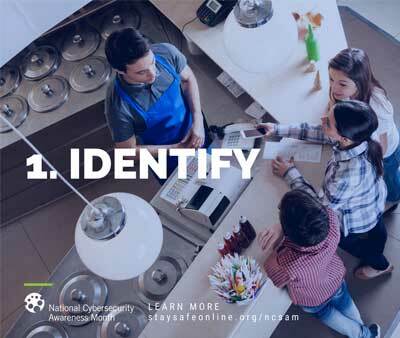 Visit https://staysafeonline.org/cybersecure-business/recover/ to learn more about the immediate aftermath of a cyber incident and how to build your cybersecurity posture to help prevent future incidents.